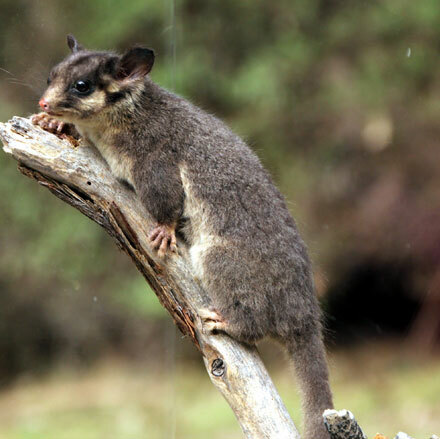 Future bushfires, triggered considerably by climate change, and the likely collapse of key habitat – hollow-bearing trees – are the main factors cited by the Threatened Species Scientific Committee in its draft report on the possum’s status. Habitat loss from timber harvesting is an additional but smaller factor, according to the committee. “Feral cats are known to prey on the species however, it is difficult to estimate the overall impact,” the committee said. Sugar gliders were similar in size to the LP and also nested in hollows. Their numbers were growing and “thus may exclude LPs from critical nesting resources”. “Cumulatively… Leadbeater’s Possum appears to have met sufficient elements of criterion to be eligible for the Critically Endangered category,” the committee said. This conclusion was tentative at this stage, “as it may be changed as a result of responses to this consultation process”. The committee said surveys since 2014 had found large numbers of LP colonies. “Some have construed this as meaning that the LP population is much larger than estimated before and that it is therefore more secure and has recovered,” it said. However, “the absence of a time set” did not allow any estimate of how much possum numbers had deteriorated, nor any estimate of the total population. Policy towards preserving the possum is regarded as crucial for the future of the Victorian forestry industry, as valuable timber is harvested from areas where the possum is located. The area under investigation is about 200,000 hectares dominated by Mountain Ash in the Central Highlands. Key habitat includes dense, large, hollow-bearing trees usually more than 150 years old, and wattle understorey. Before the great 2009 fires, the greatest numbers were at Mt Baw Baw, Lake Mountain and Mt Bullfight. An ANU research group has monitored possums since 1997 on long-term field sites, each one hectare. Between 2000 and 2018, the research found LP declined by 60%, while sites with hollow-bearing trees had fallen from 166 to 139. This included sites burnt in the 2009 bushfires. “There are no estimates of the abundance of hollow-bearing trees … and thus it has been necessary to extrapolate them from available data,” the committee said. Over this period, 1000 hectares of timber were harvested annually, which the ANU said represented a further 10% decline in habitat and LP numbers. This brought the decline in possum numbers down by 64%. Looking at the period from 2018 to 2036, the committee said potential LP habitat was 186,000ha. Based on timber harvest exclusion zones and the reduced Resource Outlook, the overall timber harvest would be 10,600ha per year, or about 5.7% of existing potential habitat. The committee said significant bushfires were likely to occur in this timeframe. “Activities such as planned burns may reduce the extent of forest, but that climate change effects may have the opposite effect,” the committee said. Based on a worst case scenario of 50% of forest being burnt in fires, only 47.2% of habitat would remain. Similarly, with an estimated 59% decline in hollow-bearing trees, only 20.7% of total habitat would remain, triggering the “critically endangered” status. The committee said the surveys between March 2014 and January 2017, headed by the Arthur Rylah Institute, had found 346 new LP colonies in mainly state forest, 6-10 per cent of potential habitat. A total of 84 new colonies were found in parks and reserves, and surveys were still continuing. The committee said if the sample sites were representative, there may be 730 colonies in the state forest. Extrapolating across parks and reserves, there could be an additional 3980 colonies, giving a total of 5700 colonies. Colonies may have up to 12 individuals, but were more commonly six to 12. Based on a more cautious three individuals, the possum population may exceed 10,000 mature individuals, “but is more likely in the range 2500-10,000, which is low”. Unpublished random 2016-17 survey results from Arthur Rylah had a detection rate of 37 per cent. “They are broadly consistent with a larger population than was previously considered to be the case,” the committee said.